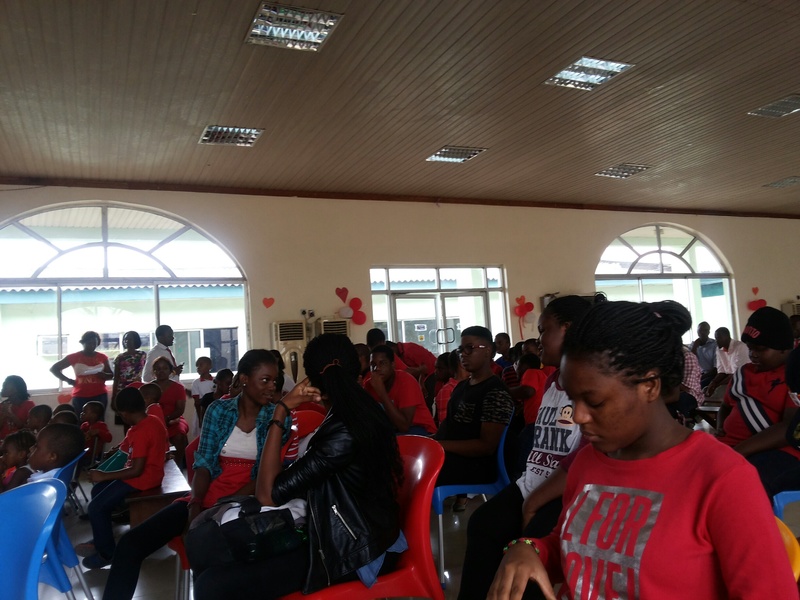 When Mark and his family got our call to attend a Valentine’s Party at a school in Lekki, they didn’t know what was in store. In faith, they arose early to leave their home in Sango Otta, Ogun State, for the long journey to Lekki Phase 1, in Lagos State. Oh, but it was worth it! When they arrived, they were greeted by smiling faces of children and grown ups, in red and in full cheer. At the school, the teachers were teaching the children about real love. One of the messages they shared was that “Love is like a Magic Coin. If you hold it in your hand, it will disappear, but if you spend it or share it, you will get more”. What wisdom! The Proprietress, Mrs Fadipe, was teaching by example what real love does, by seeking out Mark and his family to bless. And not a one-time blessing, but to take under their wing and sponsor their education going forward! Mark has four younger brothers, and they are so charming! Mustapha is 8 years old and in Primary 2. Ridwan is 10 years old and in Primary 5. Sulaiman is 13 years old and in JSS3, while Olaitan is 15 years old and in SS3. Mrs Fadipe presents a cheque and some cash in support of the family. Their parents were so happy when they were presented with some cash to help them with their family business, while Ufuoma received a cheque on behalf of Fair Life Africa Foundation for their third term fees. 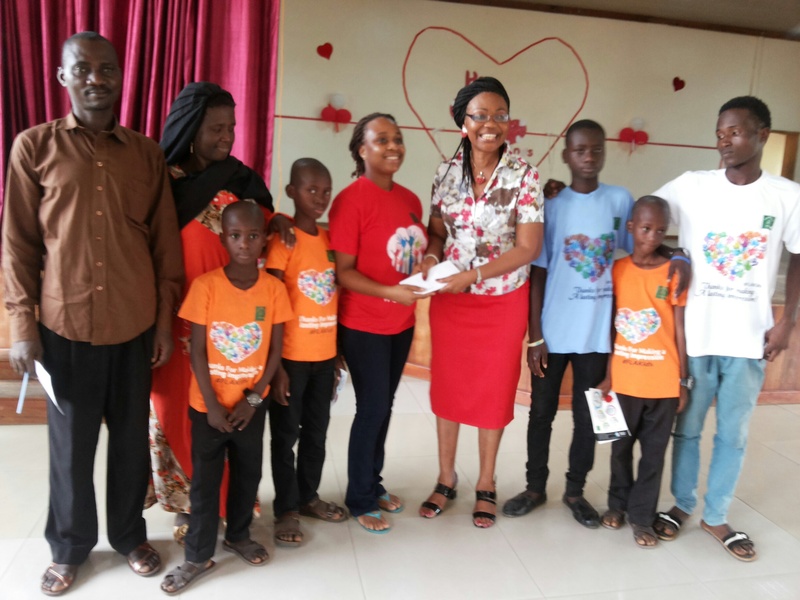 Mrs Fadipe promised to contribute the first annual cheque in July, which will be a contribution raised by the parents of the pupils and students of Pinefield Schools Lekki. These children are privileged, but are learning that: “It is far better to give than to receive” (Acts 20:25)! After the organised programme and prayers, we all sat around in tables and enjoyed the lovely chicken and chips they had prepared for the kids and their visitors. Mrs Fadipe sat with Mark and his siblings, and got to know her new adopted kids more… It was a really beautiful day! 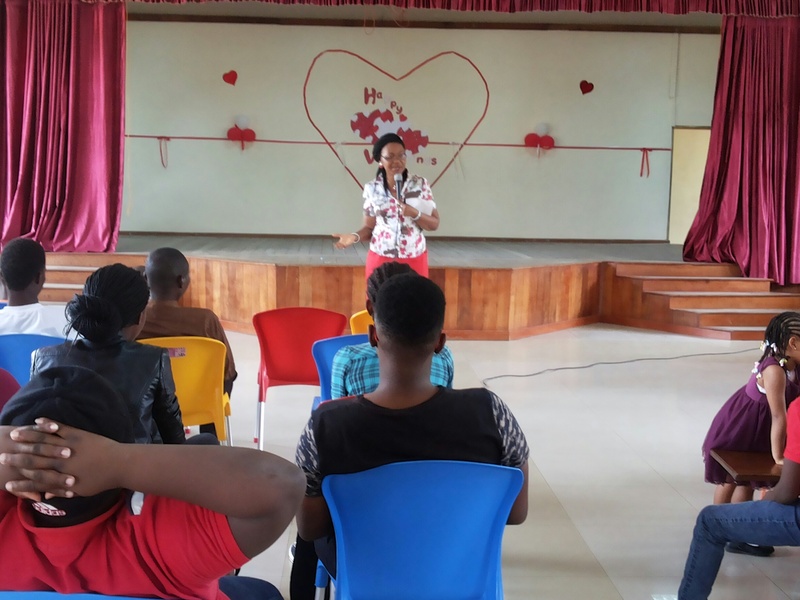 Fair Life Africa Foundation is deeply touched and grateful to our friends at Pinefield Schools, for using the occasion of Valentine’s Day to impact a unique gift into the lives of our kids. We are always looking for sponsors to help keep these children in school, and it is huge relief to know that they are now going to have a good education, and improved life chances. Previous Post What if everyday was Valentine’s Day? Next Post What’s with Valentine and Charity?